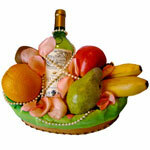 Sending Fruit Baskets internationally is an amazing and ideal gift for any occasion. 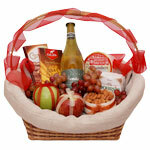 If you are looking for something healthy for a gift that people will enjoy, this is the ideal one for you. 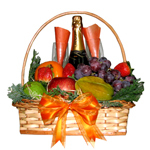 You can buy fruit hampers and ship them to more than 180+ countries with GiftBasketsOverseas.com. 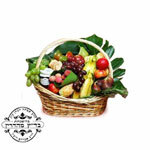 Our huge selection will offer you a healthy basket with fresh fruits that are appropriate for delivery within each country and many are designed to feature the local favorites. 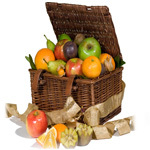 Whether you are ordering fruit baskets online to send to clients in Japan, or just sending Fruit Hampers to the USA for a friend, you’ll find the best selection with numerous options in our store. 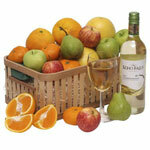 We feature varieties with wines to “pear” with the basket. You can find options that have snacks, cheeses and crackers in them, and you can even find ones with unique international flavors. 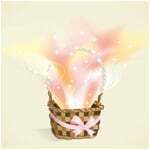 That’s what so many people love when they thinking about what types of presents to ship overseas. 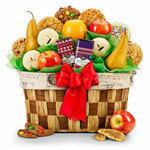 You cannot go wrong when you send Fruit Gift Baskets overseas. 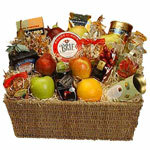 Fruit hampers are healthy gifts that can be diet friendly. If you want someone to have a break from their diet, you can choose one with chocolates as well. 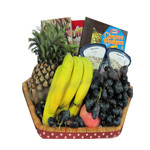 You can do a traditional fruit gift basket or you can even order fruit hampers online that come in box towers to give the person a ton of fun surprises as they open each box to find new snacks that they’ll love. 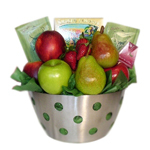 Fruit gift baskets are perfect for corporate gifts, birthday, families and especially for newly weds when they are on their honeymoon. 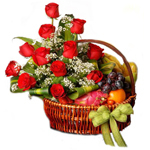 The best thing after flying for hours is to get to your hotel and have a healthy and energizing snack so that you can enjoy spending time with your new husband or wife. 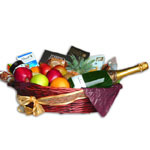 That is why so many people like send fruit gift baskets overseas and why everyone loves to have one show up at their door. 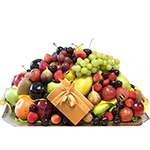 Order Fruit Gifts online here and let us take care of shipping it to more than 180+ countries for you. 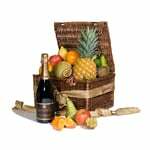 Just select the country you live in, the country you need to send the fruit gifts to and select an occasion so we can recommend the perfect hamper for you to choose from.